Each QAL had a button! 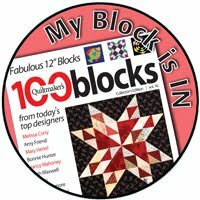 I love quilt-alongs - participating in them and hosting them. 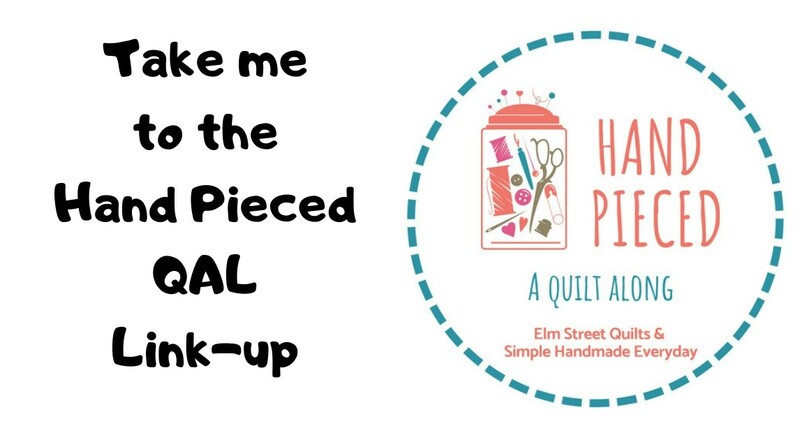 My goal at Elm Street Quilts is to run at least one QALs each year and provide the opportunity to make something fun together and make new friends! 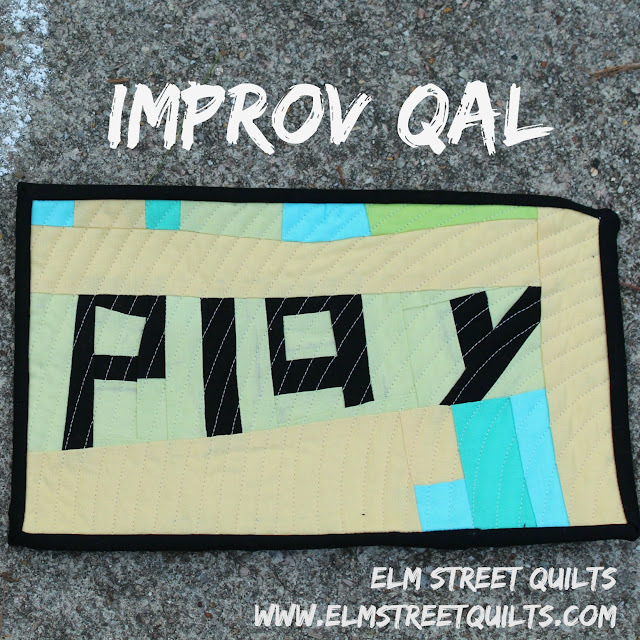 Join the Elm Street Quilts QAL Facebook group and share your QAL progress and be the first to learn about the next upcoming QAL! repeat QAL - Summer 2016. Paper pieced blocks were released for each of the letters, several letters each week. There was also option for traditional piecing a smaller 'quit' quilt. The pattern is available as well as the entire paper pieced chunky alphabet in my Craftsy store. 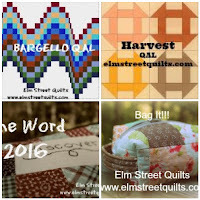 Bargello QAL - Spring 2016. 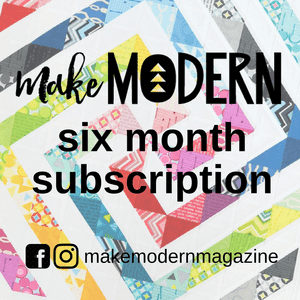 The information and tutorials are still available so you can still make your very own bargello. There are two sizes available - the Queen B (finishes at 36''square) or the Baby B (finishes at 16'' square). 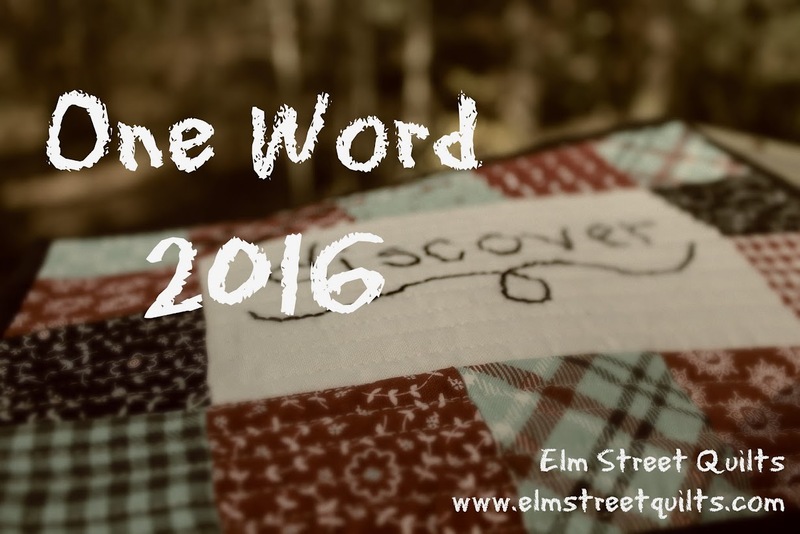 Word 16 - January 2016 . Participants could create whatever kind of mini they wanted and there is a tutorial available for the mini featured in the picture. Bag It (fall 2015, 2016 & 2017) an awesome event featuring tutorials on all kinds of bags perfect for gift giving. The whole purpose was to encourage handmade giving for the holiday season. The tutorials are all available from the tutorial tab.